Today we are releasing the Creatus Pro plugin and the free version of Creatus WordPress Theme. This amazing pack is all you need to create stunning WordPress website. This milestone is important because it gives you all the power to further enhance Creatus theme and it’s framework. Creatus Pro plugin is the icing on the cake that gives you advanced tools to build modern websites. What you get with Creatus Pro? Creatus Pro plugin is an extension of free Creatus WordPress theme and gives you more power to build flexible WordPress websites. These are few features highlights that you can expect from Creatus Pro. For more information please visit the Creatus Pro page. What can you expect from free Creatus WordPress Theme? In short, you can make fully functional WordPress website with Creatus. Summing up all theme features in few lines is just not possible. Thus we have created the features page that contains all the details and gives you an overview of all key elements that make Creatus so special. Free version of Creatus theme is released under GNU/GPL v2 license. This gives you the power to use and extend the theme the way you need it. The GitHub repo is open for all your questions and suggestions. Together we will make this amazing theme your number one stop for WordPress website development. Where can I download Creatus Theme? Until the theme is published on WordPress.org you can download it from the GitHub repo or via the downloading link on Creatus Pro pricing page. All existing members have received Personal One Year Creatus Pro membership which includes one domain license for Creatus Pro and private ticket support. Starting from today everyone that is using Creatus version 1.2.5 or less will see an update notification that is advising you to download and install Creatus Pro. If you encounter any issues please do not hesitate to contact us. Simply login in to your member area and open a ticket. Our tech support is ready to help you with any possible issues. What would a new release be without new demos! 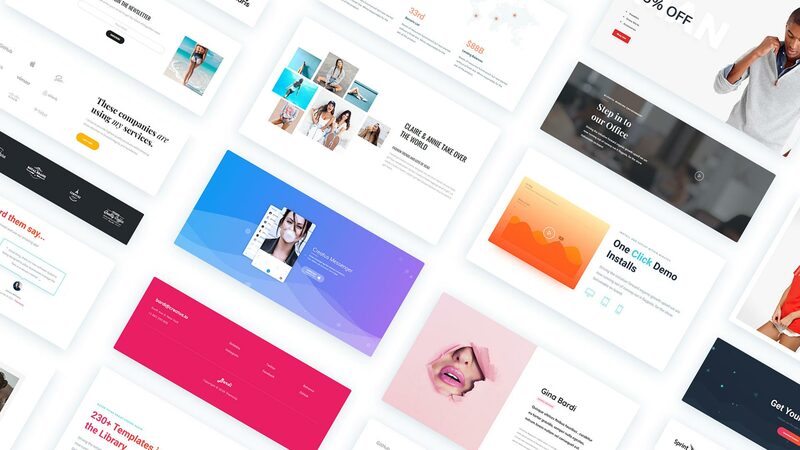 This time we bring you three WordPress website concept demos and two of them are free for everyone. The premium demo Conexi was made with great help from our friends at Mailoptin who gave us the idea for the concept. We hope we made them proud. This release was a stepping stone that opened the door to new tasks. One of those tasks is building Creatus demos based on most used page builders. The first in line is Elementor and soon you will be able to install Creatus WordPress theme demos built with the help of this great tool. Now that the possibilities are endless we are ready to take Creatus and Creatus Pro to the next level. For insider info and friendly discussions consider joining our Facebook community.